Even though I’m no longer in need of cot linen, when I catch a glimpse of some sweet baby bedding I can’t help but admire it. A recent find that I am absolutley smitten with and will be pinning for baby number three is this eye catching bedding set that I’m excited to share with you all. 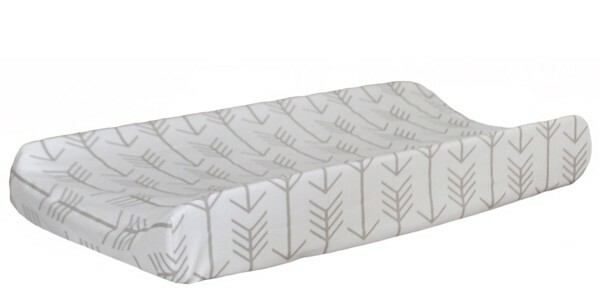 From New Arrivals, Inc comes this Arrow Crib Rail Cover Set that’s full of fun and style in a very subtle way and is perfect for team pink or blue. The modish four piece set from their Be Brave Crib Collection comes with a crib rail cover, skirt, sheet and blanket, priced at US$255. Made from 100 per cent linen this soft and stylish set will add a just-so touch to any nursery. 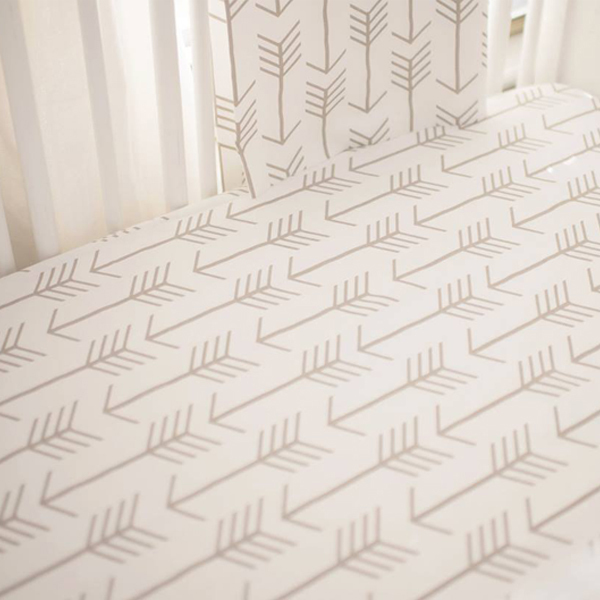 To truly nail the tribal theme you can match your bub’s bedding with this fun changing pad cover. You can order the set online from New Arrivals. International shipping is available, but do check in with them first.